Kissed Studio: Happy Birthday to Sonya! And a new template for you!! 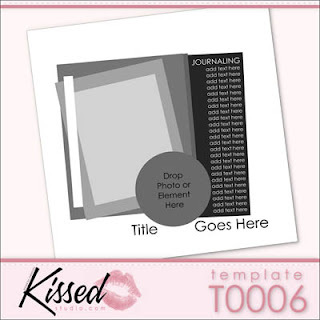 Each template file includes the 12x12, 10x8 and 8.5x11 formats! happy happy birthday Sonya!! :) Hope your day it fantastic. Thanks again for yet another great template! I do so love your templates! Thanks, again, for the DIP PNG+ version!! OH! How could I forget?? Happy Birthday Sonya!! 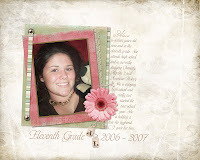 Thanks for another fabulous template from a truly grateful Fotofusion scrapper!! great template, and i just LOVE those inspiration layouts! thanks! Happy Birthday Sonya. Hope it was a good one. happy birthday and thank you!! Happy Birthday Sonya, Happy Birthday. "Stevie Wonder's Rendition." Love all the wonderful layout with their unique touch & color choices. So nice to see all these wonderful elements. Thanks for another fabulous Kiss template. WIsh you success in your upcoming store endeaver. TFS. Thank you so much! Happy Birthday!! Happy Birthday! And thank you for giving us the present! LOVE It! HAPPY BIRTHDAY!! Thanks for the DIP's! You don't find those too often. Can't wait to use it. Thanks for this template - the layouts with it are lovely too! My first time here. Thank you for the very nice template. And thank you for the template too. Happy Birthday to a beautiful lady! Hope you have an awesome day! Another great template. Really like the design, thank you so much. Love your new template. Thanks! Thank you for the new template, and Happy Birthday, Sonya! What happened to the wonderful templates that you were posting on your blog. Sure do miss them. Hope your store is up and running soon!! Been looking forward to being able to have templates to actually use! Yes if the truth be known, in some moments I can say that I approve of with you, but you may be inasmuch as other options. to the article there is quiet a question as you did in the fall publication of this demand www.google.com/ie?as_q=domaci filmovi za gledanje carlston za ognjenku ? All of the past freebies will soon be available in our store. We're working day and night to get the store up and running, full of templates for you! So if you've missed one in the past, all is not lost, you'll still be able to get it! See the layouts in action! Help yourself to the blinkie. Host it with your own images and sport it proudly!